A Victorian poetic translation of the saga of Izdubar. 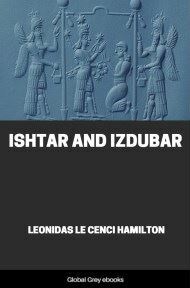 Izdubar is a literal translation of the ideograph for 'Gilgamesh', and was how the hero of the Gilgamesh saga was known when this book was written in the 1880s. A lexicographic tablet was finally discovered several decades later in which Izdubar was equated with Gilgamesh. The great nation which dwelt in the seventh century before our era on the banks of Tigris and Euphrates flourished in literature as well as in the plastic arts, and had an alphabet of its own. The Assyrians sometimes wrote with a sharp reed, for a pen, upon skins, wooden tablets, or papyrus brought from Egypt. In this case they used cursive letters of a Phœnician character. But when they wished to preserve their written documents, they employed clay tablets, and a stylus whose bevelled point made an impression like a narrow elongated wedge, or arrow-head. By a combination of these wedges, letters and words were formed by the skilled and practised scribe, who would thus rapidly turn off a vast amount of "copy." 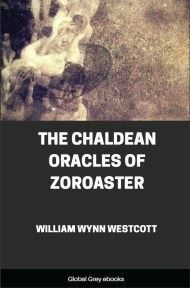 All works of history, poetry, and law were thus written in the cuneiform or old Chaldean characters, and on a substance which could withstand the ravages of time, fire, or water. Hence we have authentic monuments of Assyrian literature in their original form, unglossed, unaltered, and ungarbled, and in this respect Chaldean records are actually superior to those of the Greeks, the Hebrews, or the Romans. 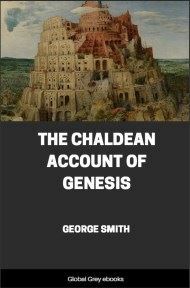 The literature of the Chaldeans is very varied in its forms. The hymns to the gods form an important department, and were doubtless employed in public worship. They are by no means lacking in sublimity of expression, and while quite unmetrical they are proportioned and emphasized, like Hebrew poetry, by means of parallelism. In other respects they resemble the productions of Jewish psalmists, and yet they date as far back as the third millennium before Christ. They seem to have been transcribed in the shape in which we at present have them in the reign of Assurbanipal, who was a great patron of letters, and in whose reign libraries were formed in the principal cities. The Assyrian renaissance of the seventeenth century B.C. witnessed great activity among scribes and book collectors: modern scholars are deeply indebted to this golden age of letters in Babylonia for many precious and imperishable monuments. It is, however, only within recent years that these works of hoar antiquity have passed from the secluded cell of the specialist and have come within reach of the general reader, or even of the student of literature. For many centuries the cuneiform writing was literally a dead letter to the learned world. The clue to the understanding of this alphabet was originally discovered in 1850 by Colonel Rawlinson, and described by him in a paper read before the Royal Society. Hence the knowledge of Assyrian literature is, so far as Europe is concerned, scarcely more than half a century old. Among the most valuable of historic records to be found among the monuments of any nation are inscriptions, set up on public buildings, in palaces, and in temples. The Greek and Latin inscriptions discovered at various points on the shores of the Mediterranean have been of priceless value in determining certain questions of philology, as well as in throwing new light on the events of history. Many secrets of language have been revealed, many perplexities of history disentangled, by the words engraven on stone or metal, which the scholar discovers amid the dust of ruined temples, or on the cippus of a tomb. The form of one Greek letter, perhaps even its existence, would never have been guessed but for its discovery in an inscription. If inscriptions are of the highest critical importance and historic interest, in languages which are represented by a voluminous and familiar literature, how much more precious must they be when they record what happened in the remotest dawn of history, surviving among the ruins of a vast empire whose people have vanished from the face of the earth? 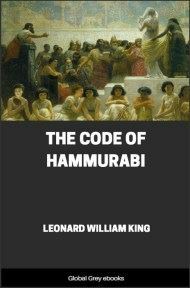 Hence the cuneiform inscriptions are of the utmost interest and value, and present the greatest possible attractions to the curious and intelligent reader. They record the deeds and conquests of mighty kings, the Napoleons and Hannibals of primeval time. They throw a vivid light on the splendid sculptures of Nineveh; they give a new interest to the pictures and carvings that describe the building of cities, the marching to war, the battle, by sea and land, of great monarchs whose horse and foot were as multitudinous as the locusts that in Eastern literature are compared to them. 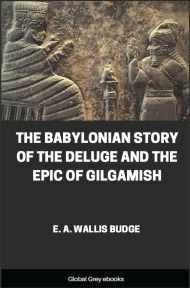 Lovers of the Bible will find in the Assyrian inscriptions many confirmations of Scripture history, as well as many parallels to the account of the primitive world in Genesis, and none can give even a cursory glance at these famous remains without feeling his mental horizon widened. 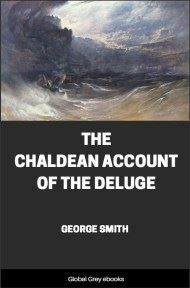 We are carried by this writing on the walls of Assyrian towns far beyond the little world of the recent centuries; we pass, as almost modern, the day when Julius Caesar struggled in the surf of Kent against the painted savages of Britain. Nay, the birth of Romulus and Remus is a recent event in comparison with records of incidents in Assyrian national life, which occurred not only before Moses lay cradled on the waters of an Egyptian canal, but before Egypt had a single temple or pyramid, three millenniums before the very dawn of history in the valley of the Nile. But the interest of Assyrian Literature is not confined to hymns, or even to inscriptions. 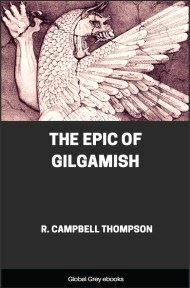 A nameless poet has left in the imperishable tablets of a Babylonian library an epic poem of great power and beauty. This is the Epic of Izdubar. At Dur-Sargina, the city where stood the palace of Assyrian monarchs three thousand years ago, were two gigantic human figures, standing between the winged bulls, carved in high relief, at the entrance of the royal residence. These human figures are exactly alike, and represent the same personage--a Colossus with swelling thews, and dressed in a robe of dignity. He strangles a lion by pressing it with brawny arm against his side, as if it were no more than a cat. This figure is that of Izdubar, or Gisdubar, the great central character of Assyrian poetry and sculpture, the theme of minstrels, the typical hero of his land, the favored of the gods. What is called the Epic of Izdubar relates the exploits of this hero, who was born the son of a king in Ourouk of Chaldea. His father was dethroned by the Elamites, and Izdubar was driven into the wilderness and became a mighty hunter. In the half-peopled earth, so lately created, wild beasts had multiplied and threatened the extermination of mankind. The hunter found himself at war with monsters more formidable than even the lion or the wild bull. There were half-human scorpions, bulls with the head of man, fierce satyrs and winged griffins. Deadly war did Izdubat wage with them, till as his period of exile drew near to a close he said to his mother, "I have dreamed a dream; the stars rained from heaven upon me; then a creature, fierce-faced and taloned like a lion, rose up against me, and I smote and slew him."